BornToWin Consulting’s Mahongo Fumbelo, delivered the Developing Young People for Success Program to secondary students. The program envisions young migrants to achieve success in personal development and in their future careers. MyNT Chair, Krshna, and our past Executive member, Kyaw Naing, were given the opportunity to share their own experiences migrating to Australia and how they overcame the challenges. Over January 2017, a photography and video competition was held with the theme of ‘Love Your Body’. Judges included Maurice O’Riordan, Lauren Moss MLA and Kevin Kadirgamar. The winning entries of the competition were showcased in a movie night held on 20 January 2017, where they got to speak about their pieces. Donations were collected during the movie night which was donated to the Butterfly Foundation, who aims to supports Australians struggling with eating disorders and body image issues. 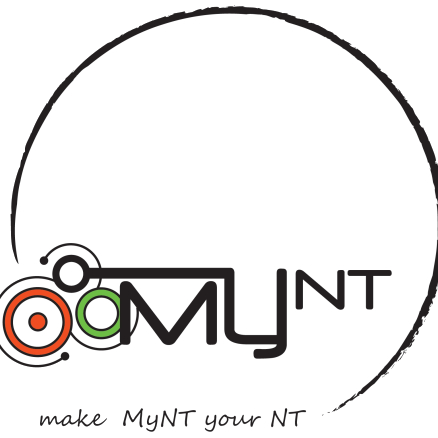 On 25 June 2016, MyNT held The RACE (The Racial and Cultural Experience) for the very first time. The idea of this ‘Amazing Race-style’ competition originally came from a group of young people chosen to participate at the 2015 Heywire Regional Youth Summit and MyNT is proud to have been given the opportunity to make this idea a reality. The project aims to bring together the many cultures woven into the community tapestry of the NT within a unique setting and break down the barriers created by cultural differences. Just like the popular TV show, The Amazing Race, multiple different challenges were set up across Darwin city, with each challenge representing a different cultural group. Eleven teams made up of young people from ages 15-30 worked their way through these challenges. Not only did they experience the excitement of competition, the joys of friendship, and the colourful Darwin multicultural community, they also had the chance to win massive cash prizes. Chung Wah Society; Amma’s Cafe; Australian-Japanese Association of the NT Inc; Wonderful Indonesia; City of Darwin; Darwin Waterfront; and ABC Darwin. Visit our YouTube channel to watch all the episodes of The RACE! MyNT celebrated our 8th birthday with a games night in the Engineers Australia Office. The games night included a variety of board games, Xbox 360 Kinect, card games and more. A raffle was held with prizes donated from Engineers Australia Office. Young Justice League 2015 is a two-day legal education program which focused on the procedures and effects of Family Law on families and young individuals. The participants were mentored by legal professionals through engaging workshops and interactive activities about the legal procedures in a family dispute. A mock mediation session and trial were held for the participants to negotiate the best outcome to resolve the simulated dispute. Shout Out! is a youth community that provides space and opportunity for young people to honestly and openly talk about mental health. Working with Shout Out! is Sounds of Slam, a peformance poetry workshop where young people can express their own passions, and connect with others. The eARTh Art Project is aiming to bring out the greatness of art in the community. The eARTh Art Project was created as a way to heighten the input of art and creativity in the community, an also to allow young people the opportunity to get involved in the community in a fun and awesome way. The idea for this event came about through the Kaleidoscope Youth Leadership Summit. Young Justice League NT is a series of interactive workshops and a mock trial involving young people around Darwin. Run over a 2-day period, Young Justice League NT aims to educate young people about the Australian legal system, their legal rights and court procedures through workshops run by mentors from the legal profession. The program included excursions to the Magistrates and Supreme Court. During the second day, participants were allocated to groups (judge, prosecutor, defence and jurors) and engaged in a mock trial with assistance from mentors. Originating as a project idea from Kaleidoscope 2013, Bringing the World Back Home is a Harmony Day event held in Darwin Middle School. During the Youth Leadership Summit, Kae Jenn Tchia – a young high school student from Darwin, developed the idea for Bringing the World Back Home. The event brought 70 high school students together to experience and celebrate a range of different cultures through shared activities. The event was held on Friday, March 8th at Charles Darwin University and was supported by MyNT, CDU Talloires and a range of volunteers. A long-term dream of MyNT finally became a reality with young leaders from around the Territory converging together for a weekend to share skills and develop ideas for change-making projects. ©2019 Multicultural Youth NT. All rights reserved.